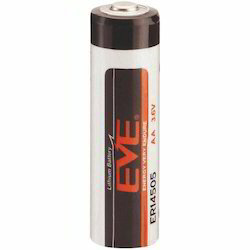 Riding on unfathomable volumes of industrial expertise, we are presenting Eve-ER 14505 AA Battery. The offered battery is made in line with international standards by using best grade material by competent professionals. We provide this battery in various specifications in order to fulfill the diversified needs of the patrons. Our valuable patrons can avail this battery in large quantity at nominal rates. 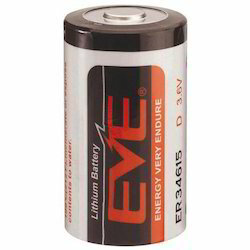 Our in-depth knowledge and industrial expertise allow us to offer a distinct collection of Eve-ER 34615 Battery. The offered battery is designed by skilled team of experts who have excellent knowledge of this domain. This battery is tested by quality controllers on various quality parameters so as to deliver a flawless range. We are giving this battery from us at market leading rates. 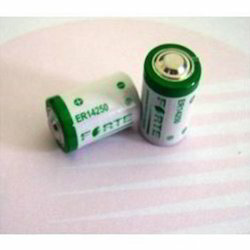 Being a well-established organization of this industry, we bring forth a qualitative assortment of Forte ER 14250 Battery. The offered Forte battery is provided in various specifications as per the need of customers. This Forte battery is well designed by expert team using advance technology, in conformity with all the quality standards. Our Forte battery is quality tested by quality controllers on various parameters to assure flawless at users' end. Looking for Lithium PLC Battery ?